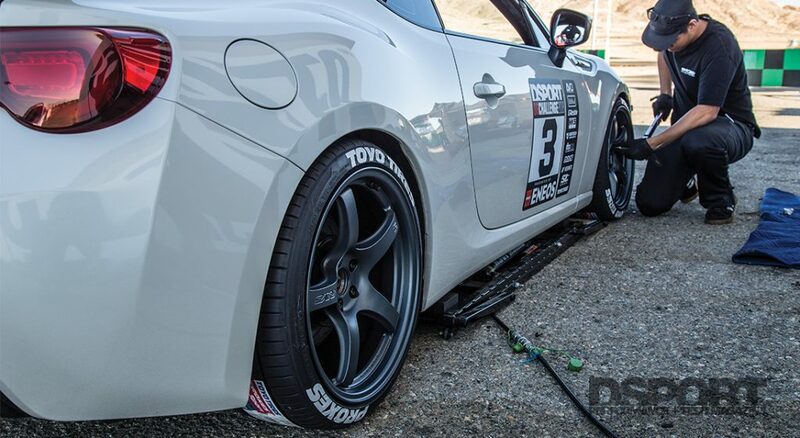 With the rising popularity of the Toyota 86, Scion FR-S, and Subaru BRZ, owners are seeking more and more power-adder modifications to enhance this platform’s performance. Although bolt-on modifications can increase the FA20 engine’s performance, true power can only be realized with a forced-induction solution. 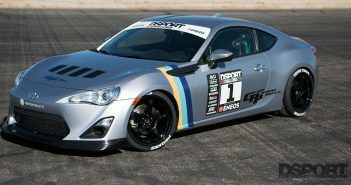 No two forced-induction systems behave the same, and while some drivers may be looking for the most power they can get out of their 86/FR-S/BRZ, others may be seeking a street-friendly system that will complement their car. 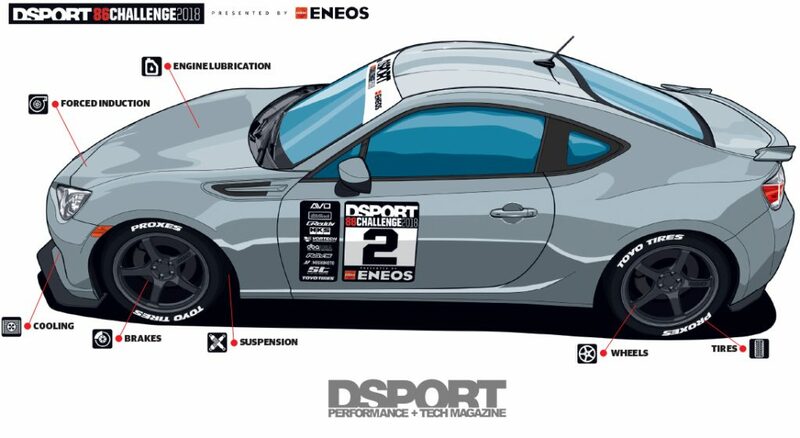 To ensure no questions are left unanswered, DSPORT Magazine collaborated with ENEOS to create the ultimate forced-induction guide for the FA20 engine platform. This will help anyone interested in a forced-induction system find the right kit for their specific needs and driving styles. 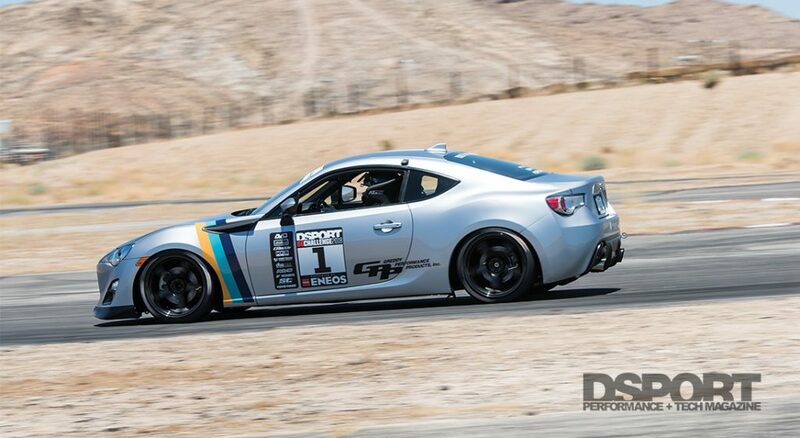 To collect accurate data, we gathered five 86/FR-S/BRZs and equipped them with the same suspension (coilovers and sway-bars), brakes (rotors and pads), wheels, and tires. This will allow all five cars to handle identically on the track. To ensure all engines remain unharmed under forced-induction and track conditions, we equipped all engines with ENEOS Racing Street 0W-50 oil for proper lubrication. We also installed the same radiator and oil coolers. With the cars prepared for the challenge, all that is left to do is start the testing. A forced-induction system can affect the engine in many ways. 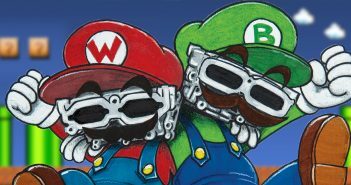 A turbocharger can offer big power numbers while having a huge lag before power is realized, and a quality supercharger could be extremely smooth on the street, yet not as powerful on the track. To answer all questions, cars will be tested on the dyno, the streets, and on the track. This will give everyone solid data on how the most popular turbochargers and superchargers on the market will affect their FA20 engines and driving feel. 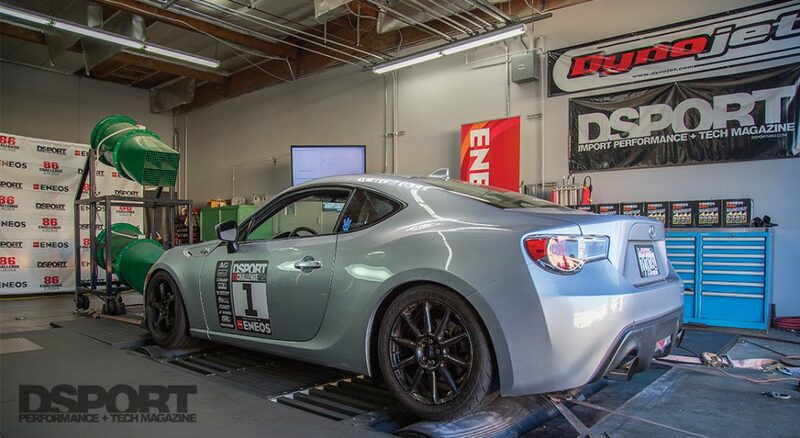 On the Dyno: A completely stock Toyota 86 will act as our baseline. Each car after will be tested on the dyno to gather peak horsepower, peak torque, average horsepower and torque at various RPM, as well as cost to peak horsepower gain ratio. On the Streets: Each vehicle will be evaluated on the street by four DSPORT Magazine editors. This is a true street driving impression that will give an idea of how each forced-induction system behaves on the streets, and whether or not it serves well as a daily-driver. On the Track: A professional driver will take to the track to gather best lap times, fastest speeds, and average laps with each vehicle. This will give an idea of how each forced-induction system does on the track. Each vehicle will be awarded points according to a scoring system. A maximum of 260 points could be given to one car. 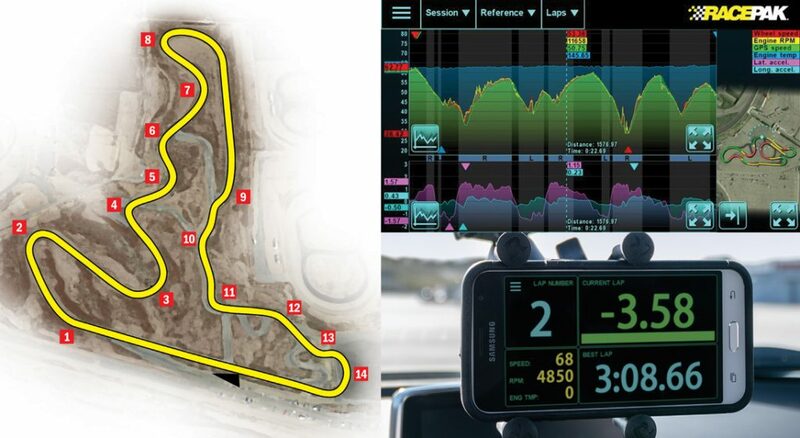 Although the forced-induction system with the most points will be the winner of the challenge, the scoring system will give buyers an idea of which system works better for their driving needs. Not all drivers seek the most responsive turbocharger when driving to work every day, and while some may be looking for smooth, linear acceleration, others may be looking for vicious power. 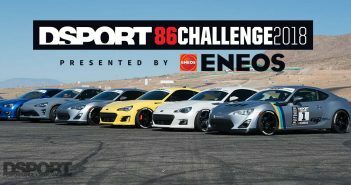 The 2018 DSPORT 86 Challenge Presented by ENEOS is designed to answer all of these questions and more.